A group from Mālama Honua partnered with haumāna and kumu from Blanche Pope and the University of Hawaii landscape architecture school to mālama Muliwaiolena and plan for how we can better support caring for this wahi pana (sacred place). 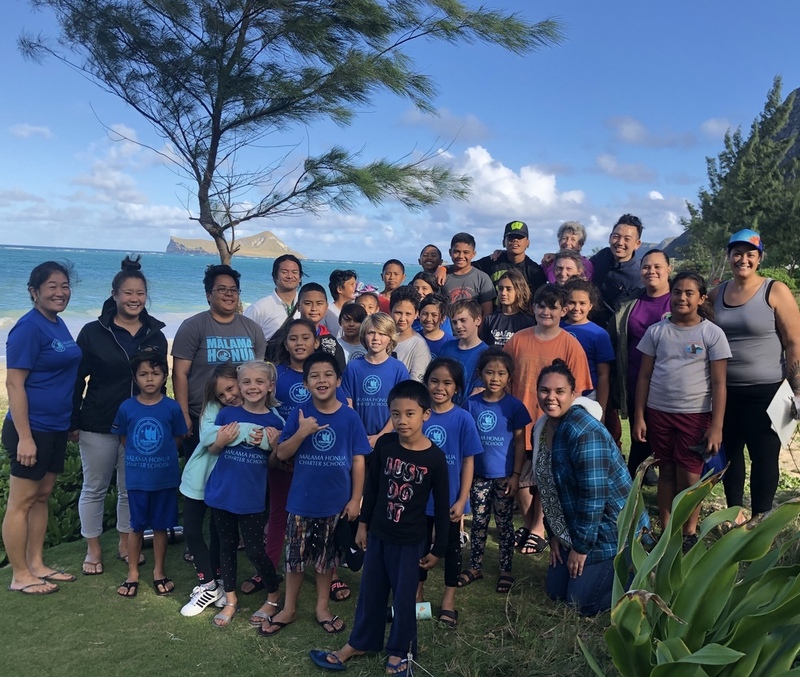 As we worked to remove the invasive plants so that they natives could flourish again we were reminded of the importance of our role in serving and caring for our ʻāina. Through neglect we have hurt our land and in turn hurt our own health and wellbeing. It is our kuleana to restore and mālama our ʻāina so the ʻāina can once again mālama us.